After being ignored by the CPUC rate payers in the state of CA are taking action in a long time coming lawsuit over health effects from smart meters/smart grid. Click on these links to view the Edison COMPLAINT..1st_amended..LASC..Smartmeter_Complaint_SCEA-5a filing and COMPLAINT-1.SFO..2..modified_Smartmeter_Complaint_PGE_doc filing. Scroll down to watch a video describing just some of the health effects associated with this toxic metering system and infrastructure. If you would like to be a part of this lawsuit or to sue your own utility for health effects from smart meters or smart grid please watch the below video and then get in touch!! LAW FIRM SEEKS PLAINTIFFS WITH MEDICAL DEVICE IMPLANTS THAT THEY BELIEVE HAVE INTERACTED WITH SMART METERS/SMART GRID CAUSING MEDICAL PROBLEMS. Do you, a loved one, friend, co-worker or just someone you know have a pace maker, defibrillator, deep brain stimulator, internally implanted insulin pump or any implanted wireless medical device that you believe has is being interacted with by a smart meter, a neighbor’s smart meter or the smart grid infrastructure? If so, please reach out to us. 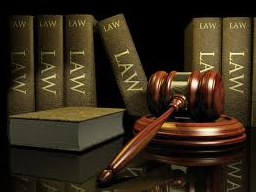 You may be eligible to join a mass tort or class action lawsuit that is being organized by a prolific US law firm. It matters not what state you are in. They have offices in many and can work in any state via “pro hac vice” (a legal term for joining forces with out of state lawyers) even if they don’t currently have an office set up in your state. They just need a minimum of 5 qualified plaintiffs from your state in order to file suit. Please email us at contact@thepeoplesinitiative.org or call us at 310-281-9639 for more info, to find out if you qualify or are within your statute of limitations. But please verbally leave your # and no texts as this is a voice mail with no caller ID! Please spread the word!!! SCROLL DOWN FOR OUR NEW VIDEO ON OUR CLASS ACTION LAWSUIT AGAINST THE UTILITIES FOR SMART METERS/SMART GRID!! There are MANY violations of human rights happening right now regarding the roll out of smart meters and smart grid in addition to other involuntary radiation exposure to this kind of radiation throughout the world. If the issue of health effects from exposure to non ionizing radiation (such as from cell phones and cell towers) has been covered up, the roll out of smart meters has BLOWN THE LID off this issue by delivering this radiation in a very personal way, right to each and everyone’s doorstep. Anger is mounting about this ubiquitous, mandatory exposure to this carcinogenic, privacy invading device and infrastructure and people are beginning to wake up and do something about it! And we are no exception…Currently, we are organizing a CLASS ACTION LAWSUIT against our local Southern CA utility provider, Edison, regarding HEALTH EFFECTS from SMART METERS/SMART GRID. However, this law suit will open up to ALL UTILITY CUSTOMERS in the state of CA once we file. If you or your loved ones believe you have been harmed physically by smart meters or smart grid and would like to be included in this CONTINGENCY (attorney covers court, filing and expert witness costs) law suit, please contact us. If you are not an Edison customer but would like to sue your utility for health effects from smart meters/smart grid, please also contact us as this law suit will open to you once we have filed. If you would like to sue your utility for any of the other known violations associated with smart meters/smart grid, such as over billing, privacy invasion or fire hazard, please get in touch with us for this too, as we may be able to direct you to law suits already forming in your area on these issues, or perhaps with enough plaintiffs, we will take some of these issues on in the near future.